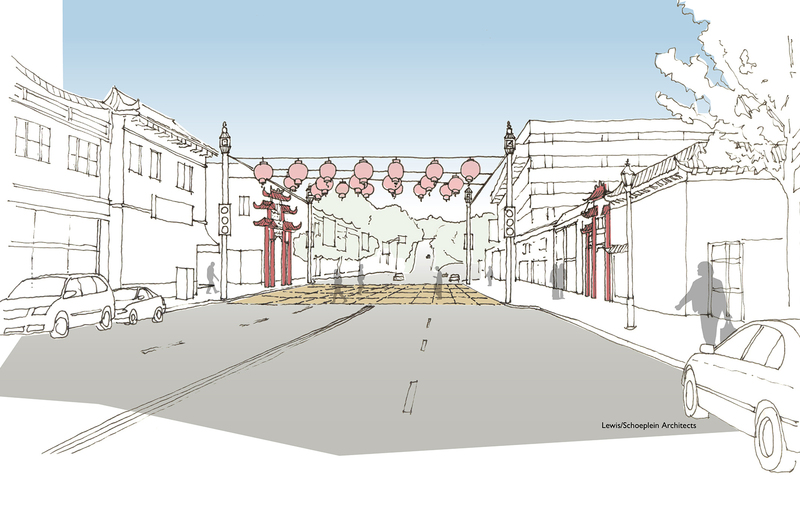 Lewis/Schoeplein architects, in conjunction with Project for Public Spaces and Mia Lehrer & Associates (landscape), worked with the Community Redevelopment Agency of the City of Los Angeles to create a new master plan for the historic Chinatown Cultural District of Los Angeles. 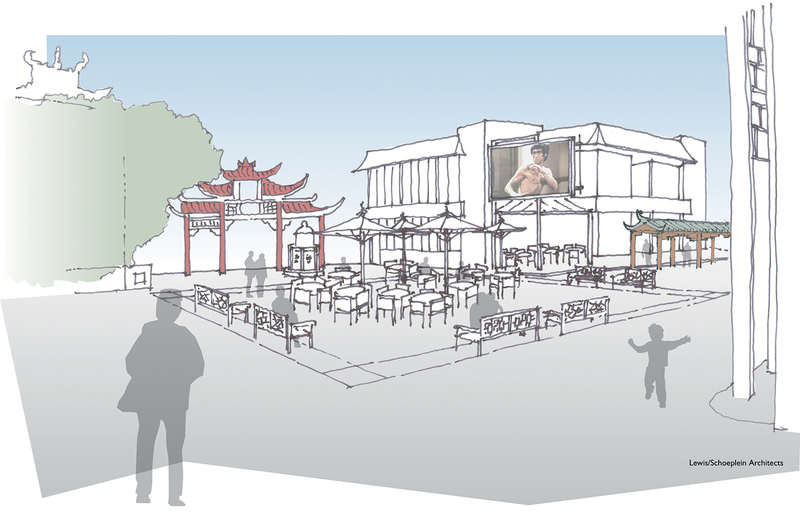 Through a series of community workshops, the design team looked at ways to enliven this historic area, both through architectural and programming solutions. 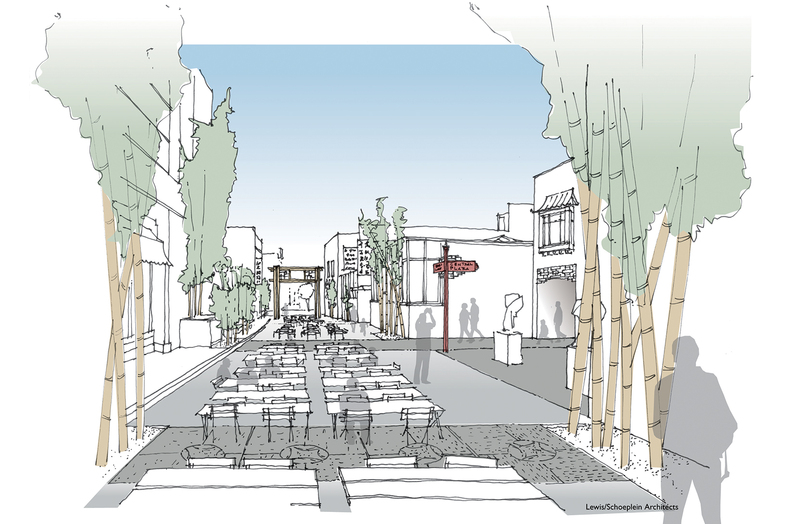 New work was identified as a renovation of Central and West Plazas and the historic Chinatown gates, realignment of crosswalks and circulation paths, and a re-thinking of Bamboo Lane as a pedestrian thoroughfare. 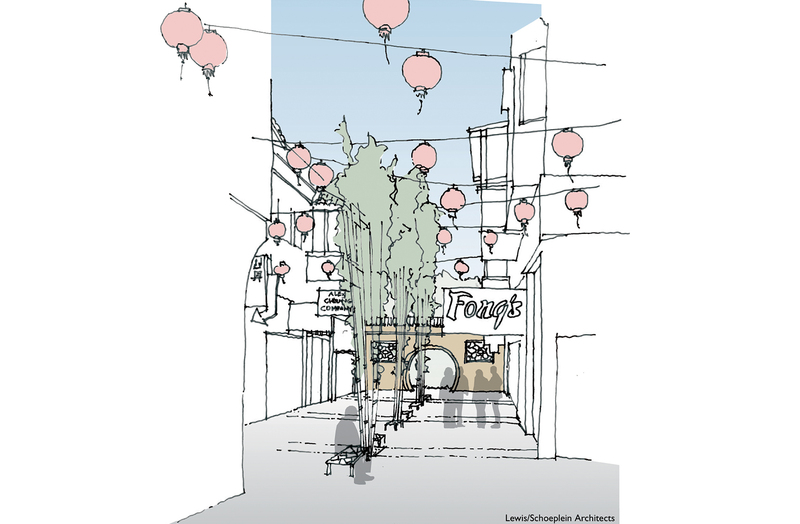 The first programmed event, “Chinatown Summer Nights”, was kicked off in August 2010 with much success. On completion of the master plan Lewis/Schoeplein architects began work on selected building upgrades at 9 locations. The scope of work included building designs and improvements, as well as the creation of a district signage guideline for the historic Central and Main Plazas. Improvements to building facades were accomplished through a grant program, which provides for renovations including paint, signage, lighting and access. 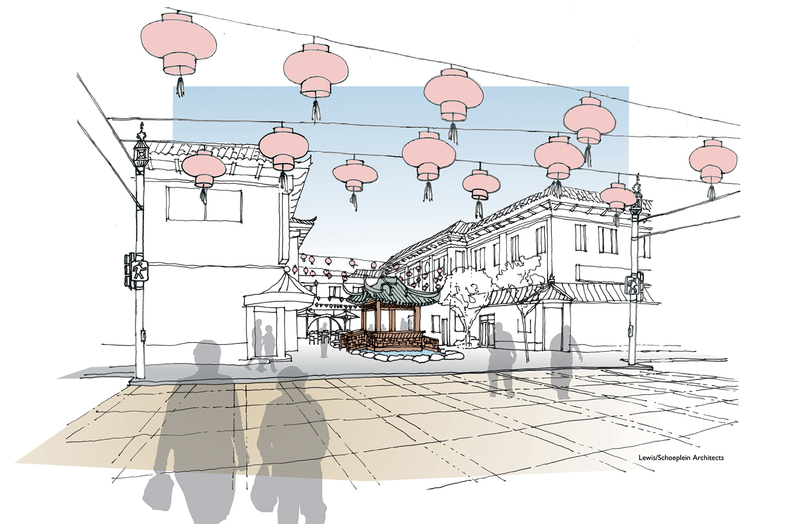 The new designs were intended to integrate the existing buildings into a cultural fabric that is unique to Los Angeles’ Chinatown, and to encourage business and cultural development in the neighborhood. Guidelines for signage are intended to preserve the unique character of the neighborhood’s historic signage, with updates that include options for replacing aging neon with more energy efficient LED lighting.